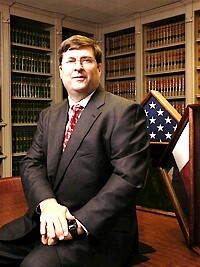 Bob Goss, founder of the Law Office of Robert B. Goss, P.C. Back in September, we posted a blog about VA’s handling of the “Veterans Access, Choice, and Accountability Act of 2014,” P.L. 113-146 (“Choice Act”). The “Choice Act” was intended to improve Veterans’ access to medical services – especially private-physician-services – provided through the Department of Veterans Affairs (VA). We informed you that Congress passed the Choice Act to allow Veterans access to private physicians when VA is unable to schedule an appointment at a VA medical facility within specified wait-time limits, or when the Veteran lives more than 40 miles from a VA medical facility or meets other eligibility criteria for using a private physician. We also alerted you to the fact that, more than a year after Congress passed the Choice Act, VA’s handling of referrals to private physicians created more confusion and difficulties for Veterans without providing better care. Well – on October 29, 2015 – VA published a notice titled “Expanded Access to Non-VA Care Through the Veterans Choice Program.” What does this mean? It means we’ve been heard! VA’s “expanded access” isn’t a huge victory, but some of the improvements are those we called for and discussed in our September blog. Update: VA’s October 29, 2015 changes will now measure driving distance by – guess what? – actual driving distance! Instead of putting a ruler on a map and saying “that’s 40 miles,” which is fine if you’re a crow flying to a VA facility, VA will use the actual distance traveled in a car to determine 40-mile eligibility. It’s a minor victory, because VA isn’t changing anything else about eligibility to see a private physician based on your distance from a VA Medical Facility, but it’s something. Another catch in the Choice Act is the requirement that the Veteran be told that they will need to wait more than 30 days for an appointment. Under the Choice Act, if you are told you have to wait more than 30 days for an appointment, you might be able to use a private physician – who then is reimbursed by VA. Well, you know how that plays out. VA has already been roundly chastised for gaming appointment schedules. Of course they’ll schedule an appointment for you less than 30 days from today. Then, they will cancel the appointment – even the day of – and re-schedule it. So, not only are Veterans left in exactly the same pickle as before, they’re given false expectations of quick visits and thus forgo timely treatment where time may be of the essence. Update: VA is going to publish yet another rule describing how it will allow you to see a private physician if VA “clinically determines” you require care faster than 30 days. Why do they need to publish another rule? Why couldn’t they have provided the information now? This “change” does not alter our recommendation that – when scheduling an appointment with VA – you tell them when you need to be seen. If that’s right now, then it’s right now. Update: VA now acknowledges that traffic, hazardous weather, a medical condition, poor roads and the like can make it downright dangerous for a Veteran to travel to the nearest VA Medical Facility – even if that facility is less than 40 miles away. However, VA is punting again. Rather than provide the eligibility criteria in its October 29, 2015 notice, it is going to publish another rule describing how it will allow you to see a private physician if your health makes it dangerous for you to travel long distances. Again, this “change” does not alter our recommendation that you tell VA you can’t travel far to see a physician. VA is burning through the $10 billion Congress provided it to enact portions of the Choice Act. Make sure they don’t go through the money before you get your needed medical services. If you are not receiving the VA-administered benefits to which you are entitled, contact us today!